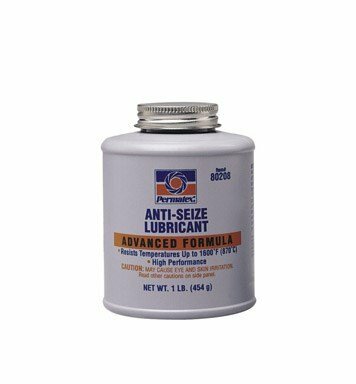 Permatex,16 OZ, Anti Seize Lubricant, Brush Top Bottle, A Highly Refined Blend Of Aluminum, Copper and Graphite Lubricant, Use During Assembly To Prevent Galling, Corrosion and Seizing and To Assure Easier Disassembly, Temperature Range: -60 Degrees Fahrenheit To 1,600 Degrees Fahrenheit, -51 Degrees Centimeter To 871 Degrees Centimeter, Salt, Corrosion and Moisture Resistant, Ideal For Marine Use, Non Aerosol Version Meets Mil Spec #907E, Aerosol Level 3. If you have any questions about this product by Itw Global Brands, contact us by completing and submitting the form below. If you are looking for a specif part number, please include it with your message.